Blogs with comments can appear to be “alive” and to be interesting to readers. However, sometimes comments are an illusion. Often, blog comments are nothing more than spam created by some blog bot software, automatically injecting spurious comments into your web pages and blog posts. There is another problem with comments – one of the human kind. Sometimes, comments can be negative – not often, but occasionally. Most blog comments are actually positive. But every now and then you can get rude comments on your blog, saying nasty things. Conventional wisdom is that readers realise such comments are rude and negative and take them with a pinch of salt. The theory is that we are wise enough to work out that the rude commenter is being just that, rude. We, apparently, see the blog for what it is and are likely to ignore those rude and negative comments. If only the theory were true. 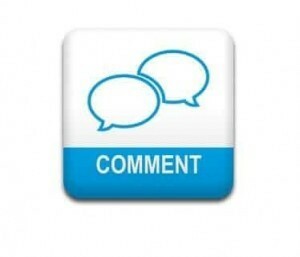 Research suggests that our conventional wisdom about blog comments could be false. In a clever little study of blog comments on the reporting of scientific news, researchers found that the negative comments and the rude additions can actually sway the opinion of the reader. In other words, even occasional rude or negative comments on your website can alter the perception of your readers. Far from taking the negative comments with the proverbial pinch of salt, it seems we actually give them some credence. This means that if you want your blog or your website to convey the right impression you need to weed out those negative and rude blog comments.